You could be forgiven for thinking that buying a new build home is the same as any other house purchase. However, there are other considerations that you need to know to make the process run smoothly. New build homes are a great option for almost anyone, whether a first time buyer or a growing family. However, there are common problems many new build buyers aren’t prepared for. Here are the most common benefits and pitfalls when buying your new-build home. Here are some common pitfalls and how to remedy them. When buying a new home, the transaction and after sales care can vary. When spending hundreds of thousands of pounds on your home you would expect the best in terms of process and aftercare. Unfortunately, aftercare service is not always a developer’s selling point and therefore of a lower standard than you might expect. So do your research first. Visit the developer’s other sites: Are there any reviews online? Do the new residents speak highly of their homes and the developer? A new build house will depreciate in price the minute you complete. Even in a promising property market you may not get your money back if you sell within a year or two. Here are our top tips for tackling this. Look at some traditional properties in your area and compare it to your new build home. Think in terms of value, space and rental value. Compare the price per square foot, within the resale market so you understand the extent of the premium you will be paying. Find out what other properties on the site have been sold for and negotiate with the developers. There are often deals to be done. The price of properties that haven’t yet finished being built can fluctuate dramatically. Many developers offer incentives such as a car parking space, paying your legal fees/ stamp duty. If you can’t negotiate money off the price, the offer to pay your stamp duty will probably save you the most money, However, any incentives offered by the developer over about 5% will impact on how much your lender gives. New builds usually have no additional fixtures and fittings. Perhaps the developer will give you a monetary value to add these to your new home. Make sure you negotiate as much as you can. From integrated appliances to having lawns laid. Is there is scope to add value in the future; conservatory / conversion. You may not be able do it now, but it could make your home an attractive proposition to future buyers. Leasehold means that you have a lease from the freeholder to use the home for a number of years. Leases for new build are normally long term such as 90 to 120 years and can be as long as 999 years. There are often restrictions attached to a leasehold property such as obtaining your freeholder’s consent for alterations, sub-letting etc. This is more likely if you are buying a flat/apartment. Leaseholders pay maintenance and buildings insurance, and usually also have to pay an annual ground rent, as well as fees to the freeholder when you remortgage or do building works. Although ground rent may be nominal, it can escalate quickly (doubling every 10 years) and make your home unsaleable. If you are buying a new build flat, It will be a leasehold property. You must ask the developer and your conveyancing solicitor to explain the terms of the lease, what restrictions are included and what charges apply now and in future years. The Government has committed to ban the selling of new houses as leasehold and existing ground rents on all leasehold properties to be set to zero. This has not yet come into law; meanwhile houses sold as leasehold may have high ground rents that may double every 10 years plus fees. Buyers have found that their freeholds have been sold to large institutional ground rent investors and these investors are now asking for hugely inflated sums (£40,000!) to sell them the freehold to their homes. This means perspective buyers will not buy their homes as they are unmortgageable. If you are buying ‘off plan’ you might find your property takes longer to build than expected. We recommend you get the builder to agree a ‘long stop’ completion date which means they’ll be liable to pay you compensation if the work isn’t complete by that date. NHBC warranties do not cover workmanship and quality finishes. Make sure you’re happy at every stage of the build, especially before you complete. The plans and specifications will tell you exactly what you are getting. They should include design, measurements, the type and quality of materials and decorative finishes. Proper specifications are needed as you are dependent them to get what you want. NHBC and similar guarantees are there to give you peace of mind for the first 10 years after construction of the property. This is a policy which attaches to the property and benefits successive owners during the 10 year period. You should be aware however that the NHBC is an insurer and the guarantees are in reality insurance policies. If you make a claim, NHBC may use the small print to avoid paying for or carrying out remedial work. Make sure there is a snagging’ provision in your contract to allow you to get little issues sorted directly through the developer. During the first two years from completion, NHBC will step in if you make a claim against the developer and the developer fails to carry out the remedial work. 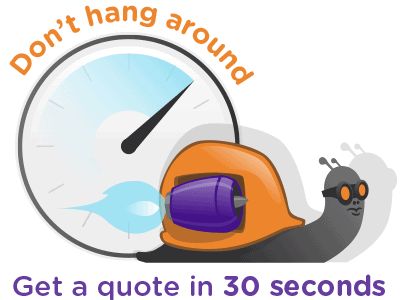 We would urge you to diarise this time limit, because if you want to make a claim under the guarantee you must notify the developer (in writing and copied to NHBC) before it expires. Even though the claim is made to the developer, NHBC have a dispute resolution service which you can use free of charge. When it comes to your appliances; cookers, dishwashers, fridge freezers, hobs and washing machines and dryers, you should ask the developer to hand over guarantees on completion. Stipulate this in the contract. So long as you are fully up to speed buying a new build can be very rewarding and exciting. Do your research and enjoy putting your stamp on your new home from the beginning.